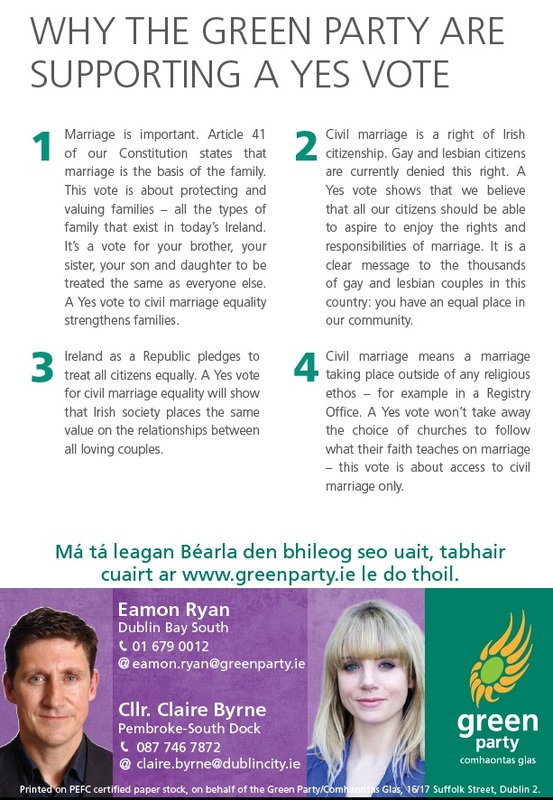 From the Marraige Equality Referendum, a “Vote Yes For Marriage Equality” leaflet from Eamon Ryan and Councillor Claire Byrne of The Green Party. 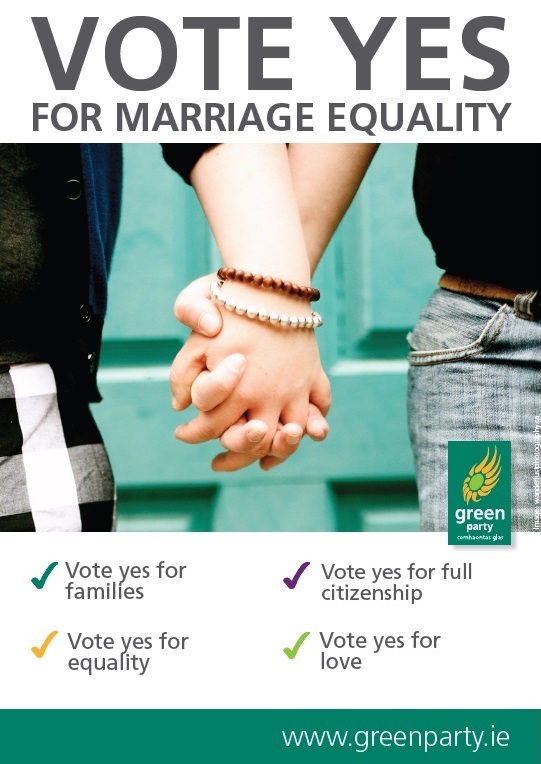 Widespread support, but you still have to vote. I recommend SF.